There were twenty Spartans at the Big Half 13.1 miles race from central London. The race went from near the Tower of Bridge to Canary Wharf then over Tower Bridge to the Cutty Sark. ASHLEY SCHOENWETTER beat 90 minutes with 1:29:28. She said that on one section the tailwind was so strong that her pony tail was in front of her. ADRIAN BUSOLINI was the fastest Spartan. He was in the top 1,000 with 1:26:31. There were personal bests from PAUL SHELLEY, MEGAN TAYLOR and STEVE DOBNER. Paul ran 1:32:08. Megan improved by 2:42 to a sub two 1:59:41. Steve said he had a fantastic run, especially windy but the rain stopped as the rain started, running over Tower Bridge was amazing. He finished with KAREN PALMER in 2:04:59. Considering the weather TIM SABAN said he faired quite well. Not quite a PB but only a couple of minutes off. Pleased with a consistent pace throughout instead of his normal “fly and die” tactic. HAZEL SMITH said it was really windy out there. She had a lovely run with CALLIE CHAPMAN and finished in 2:28:34. ED HARE finished with a 1.55.08. He said his legs didn’t feel anything like the previous Sunday at Cambridge but he battled through the tough conditions to enjoy a fantastic day out with fellow Spartans. 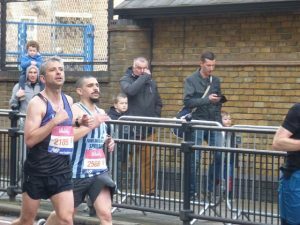 This was another event organised by the London Marathon, and covering much of the actual London Marathon course, said ROGER BIGGS. Starting from Tower Bridge the route through Docklands included a nasty cobbles section, before returning and crossing Tower Bridge. It was then a straight run down to finish adjacent to the famous Cutty Sark. With rain to start and a nasty wind throughout, Roger was pleased to finish in 2:29:47. DAVE PATTMAN and ALISON SHELLEY were both running their first half marathons. Dave in 1:52:44 and Alison in 2:07:49. (Chip times for all twenty Spartans can be found near the end of this release). It was pretty wild, windy and hilly for the classic Hillingdon 20 race on Sunday. 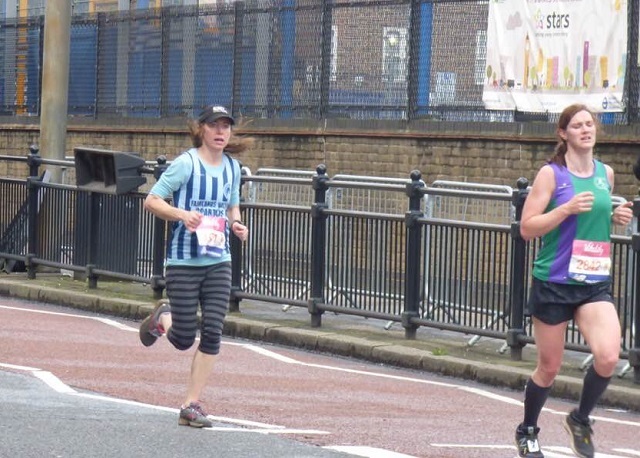 This legacy event, formerly the Finchley 20, is the longest-running 20-mile race in the UK and was first organised in 1933. 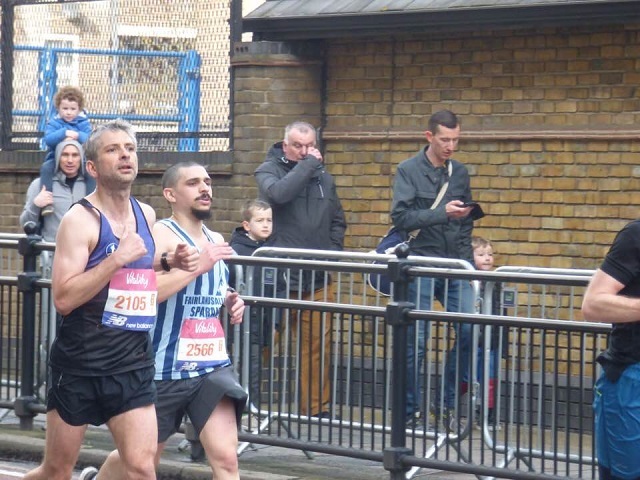 Many see it as excellent preparation for the London marathon. A new course was needed due to HS2 construction work. It was basically four laps which meant four times into the headwind and four times up a couple of grinding hills but there were also some very fast sections making even pace judging interesting. Up the last hill and along the last straight to the finish was straight into the strengthening wind. There was a fantastic new PB (personal best) for Spartan JASON ANDERSON at the Hillingdon 20. He was seventh senior and eleventh overall in 2 hours 8 minutes 55 seconds. YUKO GORDON won the women’s 60 plus prize with 2:45:51. NICK GILL beat his previous personal best by a significant 7 minutes 53 seconds to finish in 2 hours 46 minutes 3 seconds. TODD GRAY came in with 2:39:01. JIM BROWN was hit by a bush that looked like it was in a spin drier on lap three but was happy to improve on his previous “20” time by 4 minutes 1 seconds and edge closer to the 70% milestone. He was fourth MV60 in 2 hours 50 minutes 59 seconds and said the showers were great. Worried about beating the four hour cut off time SHARON CROWLEY had more than eight minutes to spare and was rewarded by finishing third woman 60 plus in 3:51:41. 11 JASON ANDERSON 2:08:55 PB. Seventh senior. DUNCAN FLOUNDERS ran the Barcelona marathon on Sunday. He said, “It’s a great event and really well organised with probably the best start I’ve been involved with – each wave went off to ticker tape and Freddie Mercury’s Barcelona blaring. ROB WRIGHT did the same event in 2 hours 20 minutes. “Another day another marathon!” said BARRY KING. That was two marathons in a week for the Fairlands Valley Spartans trio of Karen Liddle, Tricia Hopper and Barry King. They completed the Cambridge Boundary Marathon run a week after the Belvoir Marathon last Saturday! They were running a windy boundary run around the Cambridge countryside and all were delighted to finish almost an hour quicker than last week in 5.44.57. STUART ARCHER, 3 hours 36 minutes and THOMAS SAUKA, 4:36 were at the same event. JAMES McSWEENEY did the Cambridge Boundary Half Marathon in 1:44:32. He commented it was on varied terrain going round the boundary of Cambridge east to west. He was really pleased to keep a steady time throughout for a PB (personal best) even with the mud and wind in places. RICHARD COWLISHAW ran his first half marathon of the year at Draycote Water and finished with a personal best (PB) record time of 1 hour 36 minutes 43 seconds. It was cold and blustery. He thanks everyone at Fairlands Valley Spartans for his midweek training. 23 Spartans ran Parkrun on Saturday, across six locations including Stevenage. John NELMS achieved a PB and was 22nd at Bedford with 20:32. 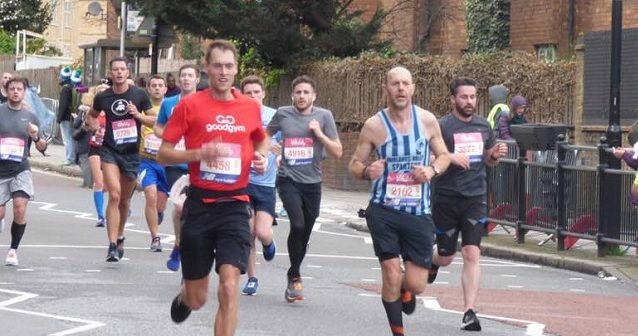 Seven others achieved season best times; Ryan DUNNING (23:27), Craig BACON (23:53), Lee PICKERSGILL (23:59), Thomas SAUKA (24:20), John ROXBOROUGH (24:22), Chris HOLLAND (25:06), Andy JAY (25:58) and Michael ANDREWS (29:18). Stuart ARCHER was first Spartan at Stevenage in seventh place overall with 19:51, only seconds off his season’s best. Danny SCANLON was in 14th place with 20:40 and Dean CARPENTER in 24th place with 21:46. The first Spartan lady was Karen BROOM with 31:53. All the Spartan parkrun results can be found at the end of this release). airlands Valley Spartans are into week ten of their marathon training plan. Are you running a Spring marathon? Whether you want to get round and enjoy; are a first timer; want a personal best or expect to go “Sub Three” the Spartans are the local club for you, there are group training opportunities five days a week. Have a look at www.fvspartans.org.uk or the club’s Facebook page.